This little one, actually, very little one was dancing in color sound vibrations. All around him the browns, yellows, and earthen reds abound. This little one was just shinning. 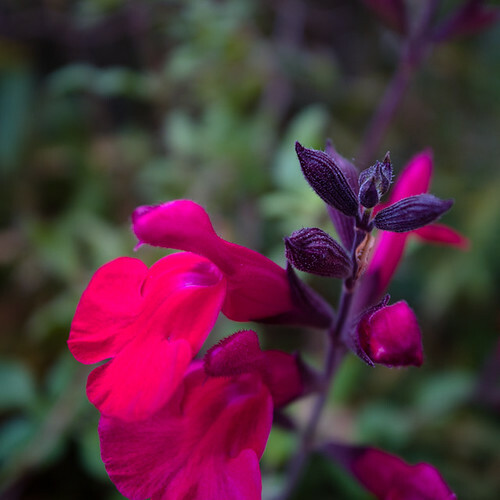 The purple hairs on the small buds that are about to open, to the flaming violet reds that color its petals. Living and loving the colors that never cease to surprise my soul. In the midst of all these earthen tones, I stumble upon these colors that light up my soul. Sit back and let the meditative vibrant colors of this little on wash over your soul. Let them soothe your troubled spirits, and see the light at the end of that tunnel. It has been a long wait this autumn season, but the beautiful yellow of the ginkgo trees has arrived. So many trees were damaged in the typhoon that came through in October, that many trees just went to brown rather than change to their gorgeous autumn shades. 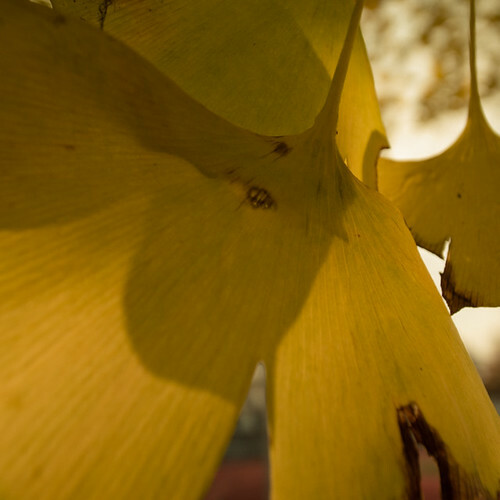 The tall gingko trees were shining in the late afternoon sun. Their paper backlit as the sun started to dip down behind the building for the day. I got out and walked around for a bit. The trees were rather large as their upper branches reached up to the skies. Yellow, yellow, yellow, has arrived at last. He is out there in the wilds of Chiba prefecture. Ok, so the wilds aren’t that wild, but he is there lurking in the shadows. Darting under the bushes. Trying his hardest to stay out of sight. The Stray Jungle Cat of Chiba is there. Somewhere among the long bladed grasses he stalks its prey. The Stray Jungle Cat of Chiba is there. If you are lucky you might be able to catch a glimpse of the cat as he slinks around through the countryside. Will it be able to catch the mouse that he has been stalking? I am not sure. But I do know that the being a stray is a hard life. They are the ultimate strugglers out there. Scavenging for their next meal. They are opportunist that need to make the best of a sometimes desperate situation. Hopefully the Stray Jungle Cat of Chiba will survive another day among in the semi-wilds of Chiba prefecture. I seem to be a bit obsessed myself these days. 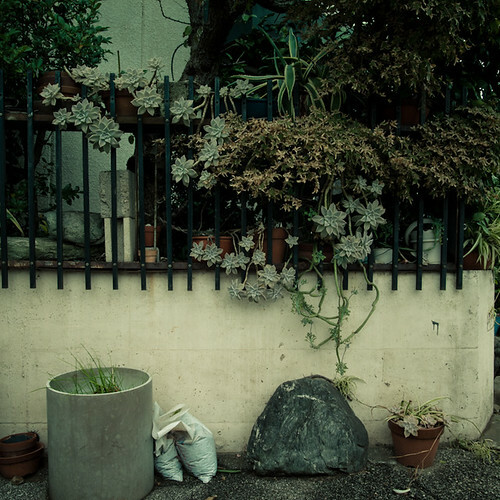 I am be drawn into the highly packed world of the Japanese home gardens. These are not the elegant gardens that can be found in Tokyo like Rikugien Gardens in the center of Tokyo. 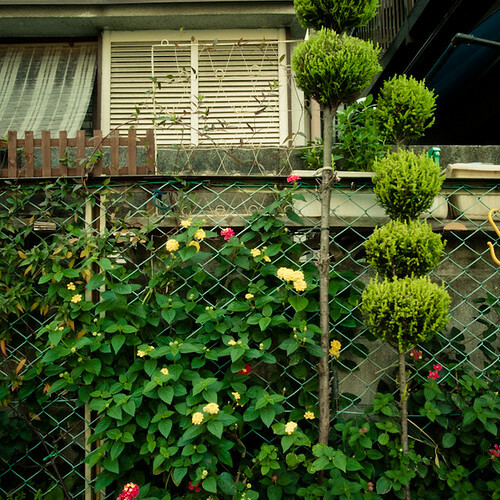 No, these are the tightly packed neighborhood gardens that I find on my wanderings. These gardens sometimes occupy the smallest spaces imaginable. 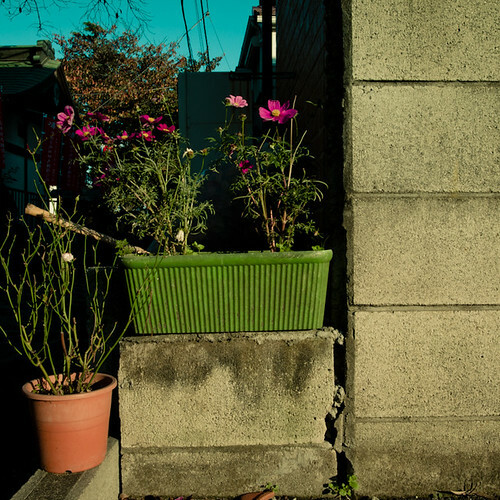 The might feature a row of potted plants sitting atop a cinderblock wall. 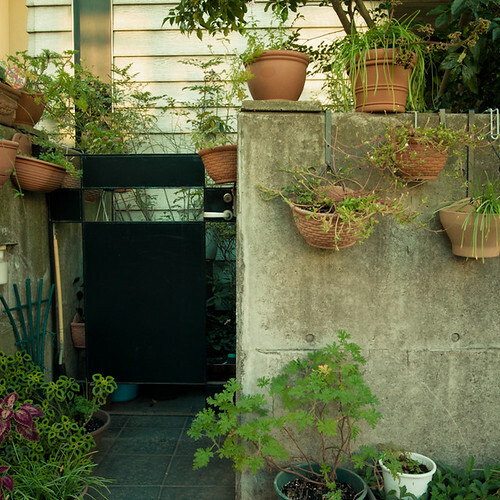 They could also be found in the tiniest of spaces that most foreigners wouldn’t even recognize as a backyard. 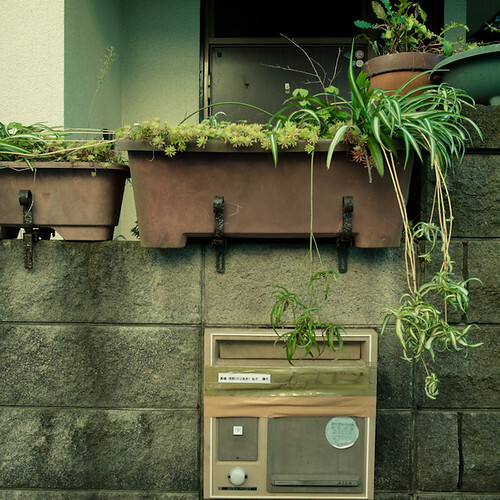 However, this is where the Japanese show amazing skill in how they use what ever space they have in order to be able to bring some greenery into their lives and in those that pass by on the street. I would argue that there is more greenery, and green spaces to be found here in Tokyo that that of New York City’s green spaces. There is so little space, and at times the concrete, glass, and steel seem oppressive, but all I have to do is to turn a corner and find a small contemplative oasis of green. It might only be some herbs that occupy a windowsill, but that green is better than no green at all. This is the second installment of the new Lucid Thoughts section of my website Lucid Communication. It is a new area will I will introduce photographers that inspire me, images that I find intriguing and reviews of work and artistic content. I am proud to bring you the second feature in Lucid Thoughts section. I have known John Coyne for quite a few years now. He was one of the first street photographers that I met back in the myspace days that could rock the streets with a camera the same way that KRS ONE rocks the microphone. John is out there in the streets capturing the good, the bad and the ugly side of the city he calls home Oakland, California. I lived in the bay area for five years and I always enjoyed jumping over the hills and into the city of Oakland. 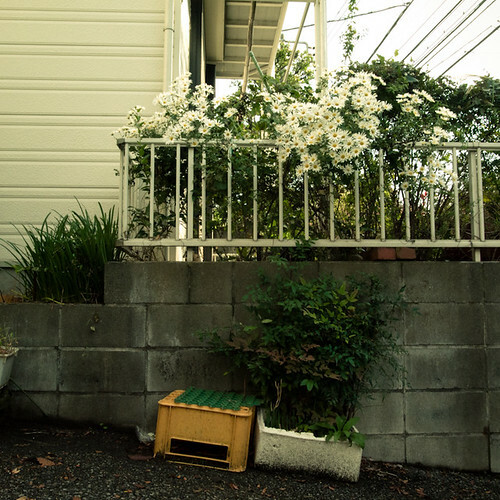 Whenever I browse though John’s photographic images I am instantly transported back to the Bay Area. The beautiful city streets of the Bay Area always brought comfort to my heart and lens. John has definitely tuned into the gritty beautiful essence of the San Francisco Bay Area. Oaktown, a place that is often neglected in the Hip Hop world, but John feels right at home in its streets and neighborhoods. John says that by being in the streets of the Bay Area infuses perfectly with his style as a street photographer. John Coyne strives to show his love for the bay area and this video is a perfect melding of the Oakland and Hip Hop culture. 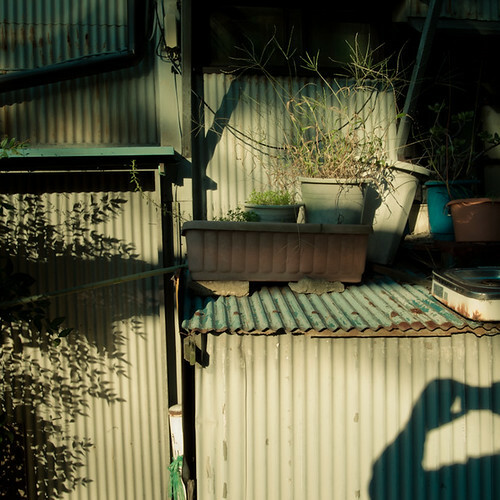 Like many photographers are on a path to seek out truth and beauty in their photography. John sees his work as showing the gritty street of Oakland, and seeking the beauty, that is often looked over, that the city also has to offer. He wants to be truthful to the city, and in this author’s opinion he keeps that beautiful raw street which makes his images glow with energy. I was curious how he made the video which consists of 90,000 plus still HDR images and HDR video. I asked him what equipment did he use to complete the video and re replied, “for the techies, I used my Canon 5D , a interval timlapse device , premiere pro to edit it and a lil creative thinking.” I would have to say that there is a lot more than just a “lil creative thinking” going on when it comes to the way that John Coyne rocks “The Bones” video. I invite you to check out more of John Coyne’s photographic work on his website Caught in the Scramble there are some beauty images of the Bay Area, Hip Hop artist’s portraits and much more to be found. I am very proud to know John Coyne as a friend and a photographer. I am sure he will be one of the first to tell you that by keeping it truthful to the streets is what photography means to him. The weather continues to be changeable. I never quite know what to expect from day to day. The skies in Japan are so clear this time of year that I can often see all the way to Mt. Fuji. Sometimes it is just a lofty silhouette in the setting sun. It is a reminder that I am in the land of the rising sun, and not anywhere else on this planet. 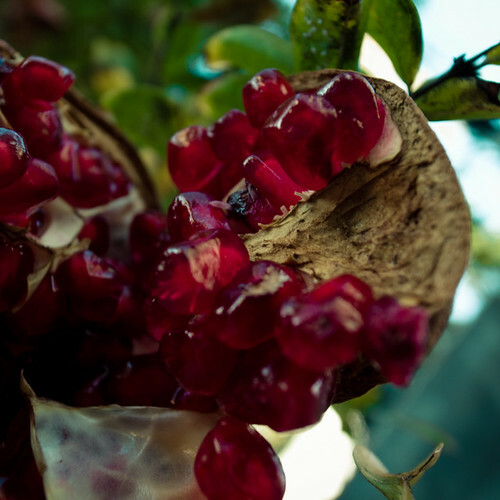 Strolling back to the station in the afternoon sun I came across a pomegranate tree with its fruit so ripe that the pomegranates were bursting open and spilling their juicy arils on to the ground. 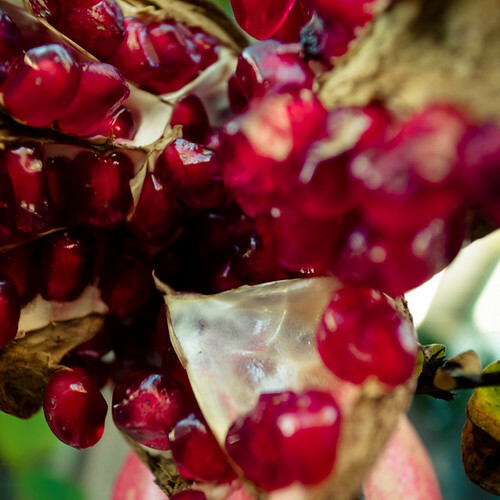 These succulent red hues were filled with the potential to bring forth another life. They all have the chance, under the right conditions, to grow into a lovely mature tree. As I looked up at the fruit still hanging from its branches I wondered what will happen to them. Will the owner come out and harvest them to feed his family and others? Or, will they just be left to rot on the branch? What about the seeds that fell onto the asphalt? Surely, they won’t be able to sprout into a new tree. Will the local wildlife in this quite suburb on the outskirts of metropolitan Tokyo come along for a juicy snack. I find myself thinking about these issues these days and how they relate to my life. How I try, and many people I know, go out into the world trying to spread goodness. How much of that goodness will find the fertile soil to be able to grow into a fully formed accomplishment. Will our labors of love be able to bring forward fruit from the tiny seeds that they came from. It always feels good to know that the seeds one has planted gathers the water and nutrients to return with fruit. Just some issues, topics that are wandering around in my lucidly communicating mind. The light is in a transitional phase now. As the sun grows more distant, the temperature begins to drop the quality of the light changes. The light of this early winter in the late afternoon shifts towards yellow. I really am attracted to that yellowing light. Even in the full glare of the sun colors are rich. Hues pop out and speak to me though my senses. Even as my throat ached I couldn’t help but reach for my Ricoh GR IV and capture some of that light. The use of space is amazing in Japan. 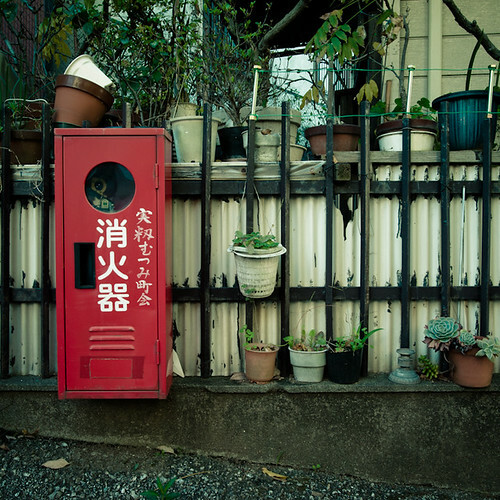 The Japanese aesthetic manifests itself in sometimes the most unlikely places like small roadside gardens that are wedged into spaces that would just be discarded in other countries. Here the space, any space, goes to some use. I am always amazed how the zig zags of a home are often loaded with potted plants in a tightly manicured gardens. Actually, they might not be so manicured. Some of them go rather wild and free. To my eye they represent the to dichotomies of Japanese aesthetics. The reverence of nature, and the attempt to tame nature. I see both in the way the Japanese create their personal gardens. 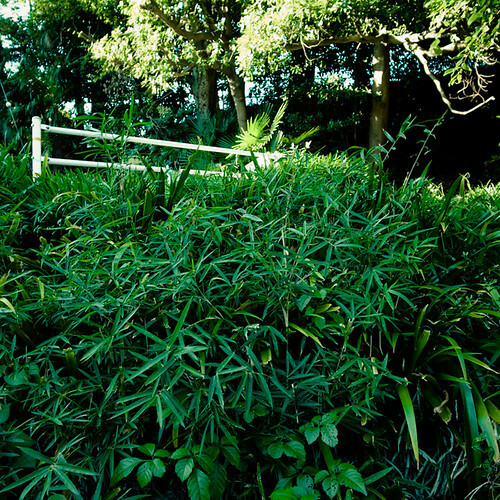 These are not the Japanese gardens that are listed as national treasures. They are the homeowner’s personal treasure. 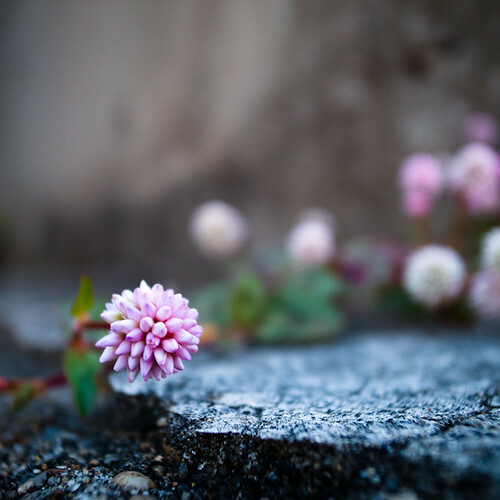 A tiny space that reflects their love and interest in the natural world even if it may be surrounded by concrete and asphalt. The flowers rise to greet the sun, and I stop and pause to admire their beauty. The simple elegance of (your) neighbors friendly garden. I sometimes am. And then there are other times that I am not so happy. I honestly try not to let those kind of days get to me. Hey that is one of the reasons that I am a creative person. The blues are meant to be chased away by our artistic endeavors. So, when you are confronted with troubles, don’t get angry. Take a deep breath. Breathe so deeply that the oxygen reaches the very core of your soul. Then, exhale out again until every last drop of air has been expelled out. Noe, with the mind refreshed look at that same problem and find a solution. Don’t forget if you get really stuck there are people who can always go to for some advice. The rain came down in heavy sheets on Friday. It continued on into the early afternoon as I made my way back to Mimomi train station. All of the plants were dripping with water. Droplets rolled off the leaves and petals and onto the ground below. It got me thinking about preparing for the sabbath, and the mikvahs, or ritual Jewish/Israelite bathing. The bath is to wash away spiritual impurities and allow the self to become ritually clean. The ritual bathing was of upmost importance to the ancient Israelites. It is still done by many today, but for most reformed Jews it has become a ritual of the past. I myself like to feel refreshed after the immersion in a bath. The feeling not only that comes from being physically clean, but that sensation that the impurities that are collected in the world can be washed way too. I may never have been to an official mikvah, but that doesn’t mean that I cannot become clean. 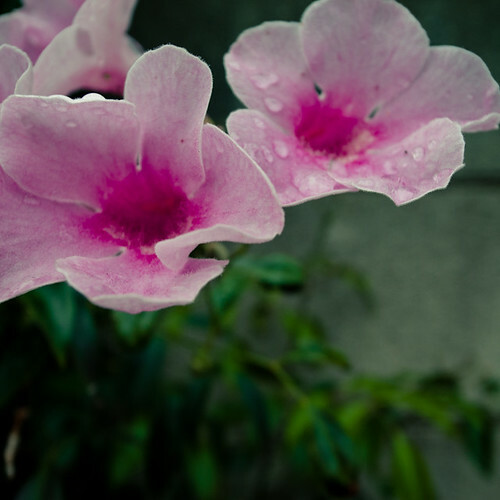 Consider the flowers in this images. They can never go to a ritual bath. They can only become ritual clean by letting the droplets wash over their petals. For me it is about the spirit of the the law not the semantics of it. Therefore, allow time to cleanse yourself. Not only the dirt and grime of daily life, but the negative energies that we accumulate from being part of the world. Let those droplets wash over your. Let the immersion in water cleanse your soul. Ok, so it isn’t exactly the zen garden that you had in mind. It is not the beautifully groomed Ryoanji Zen garden in Kyoto, but then again I am not in Kyoto. I live in Tokyo. I spend most of my time in Chiba Prefecture which buts up against Tokyo. In fact I can look out my bedroom window and see Chiba prefecture across the river from me. All this being said, I am constantly challenged to find that beauty, those zen moments without being in the cultural center of Japan. 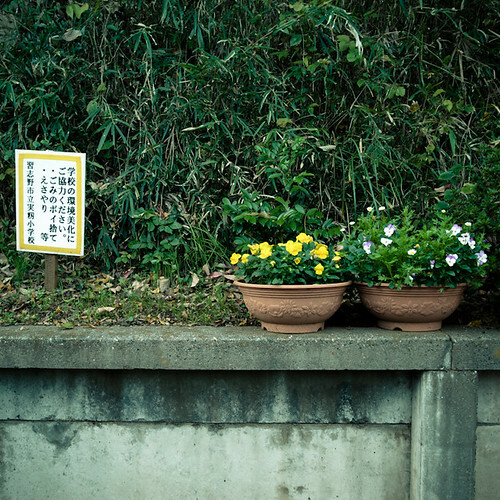 In fact at times is seems like Chiba is a culturally located out in the boondocks of Japan. However, this is where I find my zen moments. They are to be found not in the places that the tourists flock to in the proper seasons. No, they are those locales that are right there before your very eyes. They are the areas that you walk through to get from one place to another. They are the moments between the origin and your destination. The journey and the moments, in my case photographic images, that allow the zen moments to unfold themselves. I am thankful to The Creator, who has blessed me with my vision. Not only the vision that allows me to see, but to be able to deeply visualize how we all connect, and disconnect from the world that surrounds us. I am truly in debt to The Creator that allows me to see beauty even if no one else can. So here is the Zen Garden I promised you. It may not be Ryoanji, but then again this one spoke to me in a way that Ryoanji never did. One positive event in the morning was that I saw Mt. Fuji with its first dusting of snow. That is always a good sign. It is a reminder that I am actually in Japan and not anywhere elese in the world. The day quickly went down hill from there. Overall it was quite a rough day. It seemed like no matter what I do I was on the verge of just loosing my voice. My throat ached and ached. I wasn’t really able to get into the swing of things. All of that changed as soon as I looked out the window at about a quarter to four. 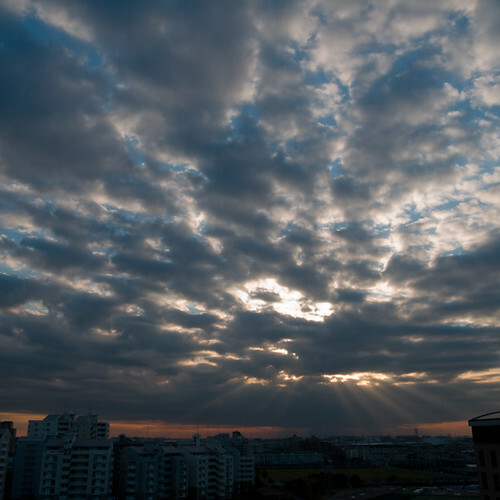 The sky was filled with puffs of clouds with rays of gold spinning down to the horizon. I just paused and stared for a minute. I let the truth of this beautiful scene wash over all the troubles of the day. They just melted away as I focused again at how beautiful, crazy, lovely this world is. This getting back to normal has been exhausting for me. My normal walk back to the station left me wanting to pass out on the train ride back home. I can’t really complain. I mean, at least I am getitng back to myself, and feeling something other than the mattress beneath my body is a good feeling. Had to bundle up a bit today after being able to wear a t-shirt yesterday. I thought best to be proactive and keep those cold bugs at bay. As the nippy air made me zip up my Jacket I came across a rather large green pumpkin just sitting on an air conditioner. It was just there. It wasn’t really doing anything but hanging out on top of this A/C in front of a small bar. Somehow, in my hazed mind it made me laugh. 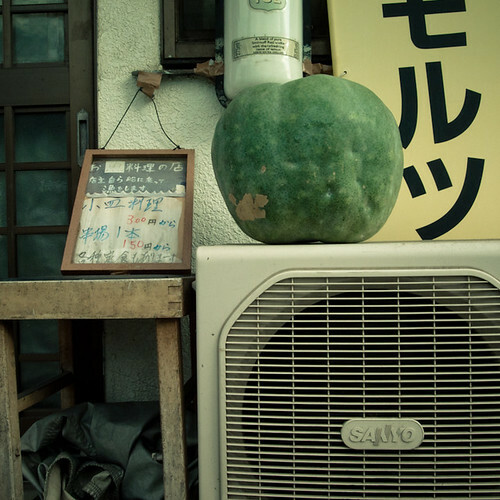 A green pumpkin, even though that is their usual color in Japan, waiting. I don’t know, maybe it is just me. Still feel like I’m in recovery mode so I decided to take a little stroll in my neighborhood. 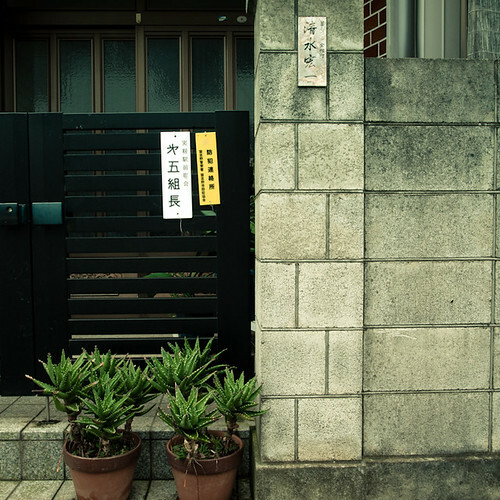 Minamikasai is a quiet little neighborhood. At one end lies the high rise development built in the 1970s called Nagisa New Town. A mix of small houses, small apartments and a few large mansion condo types. It is where I wander around peeping out the use of green spaces in the neighborhood. This one was a tiny garden planted in about 30 centimeters of space with two beautifully manicured bushes racing towards the sky. Making good use of the little green spaces we have here in Tokyo. Finally, after spending nearly two weeks shut in I awoke without a sore throat today. Such a relief to finally have gotten rid of that worst symptom of my never ending cold. Since I had been shut in for so long I decided I needed to take a stroll. The weather feels a lot more like spring that it does for mid-November. I could actually wear a t-shirt walking around my hood. Now my hood is like other hoods around the world. Whether it is Brooklyn Heights, Kendall, West Baltimore, Temple Terrace, Ueno or anywhere else. It might not be dangerous like some, but it is where I now call home. I know where the corner stores all are. I know which houses have the beautiful gardens, or where to avoid a run in with parent patrols. It is my home. It is Minamikasai (Southern Kasai) on the edge of eastern Tokyo wedged in between Tokyo Disneyland, which is actually in Chiba Prefecture, and Tokyo Bay. I was surprised that there are still just bout no autumn leaves in the hood. Again it is hard to believe that it is almost to weeks into November but there are no colors. Most of the leaves are dirty brown rather than vibrant hues. I am thankful for all of you that asked about my well being and my absence from the web over the last week or so. Here are some still blooming flowers from my hood, to your hood, where ever that may be. You are experiencing the archives for November, 2011.